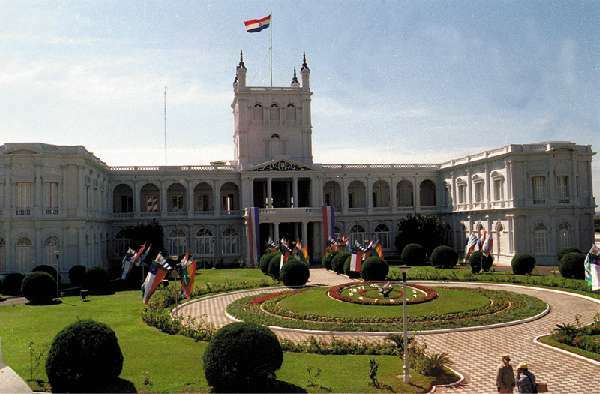 Paraguay has an area of over 154,000 square miles and a population of 6.5 million people. The official languages are Spanish and the ethnic Guarani tongue. Mestizos who are of mixed European and American/Indian descent form 95% of the population. The balance of the population is formed of local indigenous tribal groups. 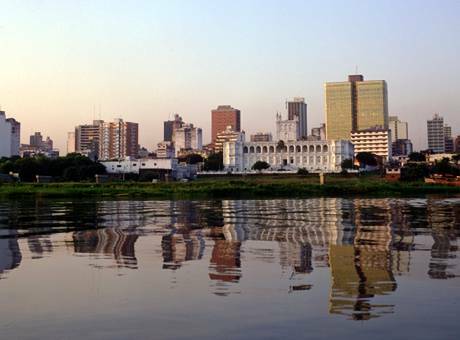 The largest city is Asuncion, which has 1/10th of the total population. Most Paraguayans live in urban areas and the population is unevenly distributed over the country. A major region, the Gran Chaco, which makes up 60% of the land area, is home to a mere 2% of the population. Paraguay is one of only two counties in the Western hemisphere that are totally landlocked. It lies on the banks of the river after which it is named and has Argentina to its south and southwest, Brazil to the east and northeast, and Bolivia to the northwest. Its location has led to it being referred to as the heart of America. Paraguay is extremely rich in natural scenery and also has a long cultural history dominated by Spanish and native Guarani traditions. This is a country of contrasts, with horses and carts moving alongside Mercedes cars. There is also the contrast between steamy forests and the dry, wild scrubland. There are several exotic natural reserves and several huge man made dams. Flights in and out of Paraguay are limited to neighboring countries, so you will likely need to make a change of planes on both legs of your trip. 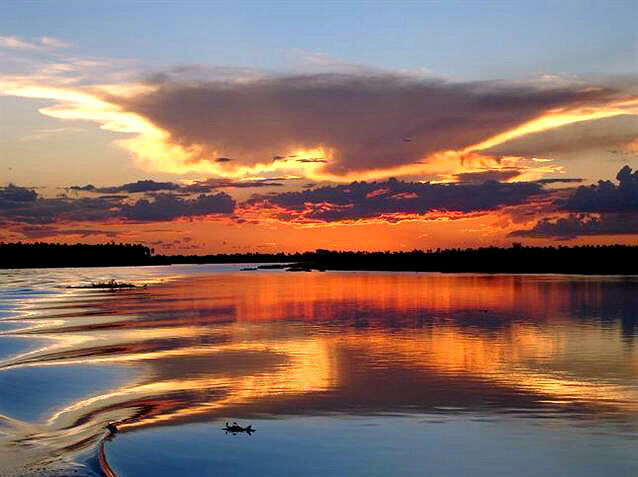 Paraguay is divided into two regions by the Rio Paraguay with the Parana region in the east and the Chaco region in the west. The country shares a common border with Brazil formed by the Parana River. The Itaippu Dam on the Parana River has the world's largest hydroelectric plant. This dam is shared with Brazil and satisfies the total electrical requirements of the country. There is also a dam at Yacyreta that, in collaboration with Argentina, also produces electricity. The terrain of Paraguay is a grassy plain with wooded hills to the east. The western area has low marshy plains. The general climate is temperate to subtropical with the eastern region generating a lot of rain, whereas the far west is drier. Semi nomadic tribes belonging to five distinct language families populated the country. Europeans first came to Paraguay in 1537 when the Spanish formed a settlement at Asuncion. The Jesuits formed many missions and settlements until they were banished by the Spanish rulers in 1767. 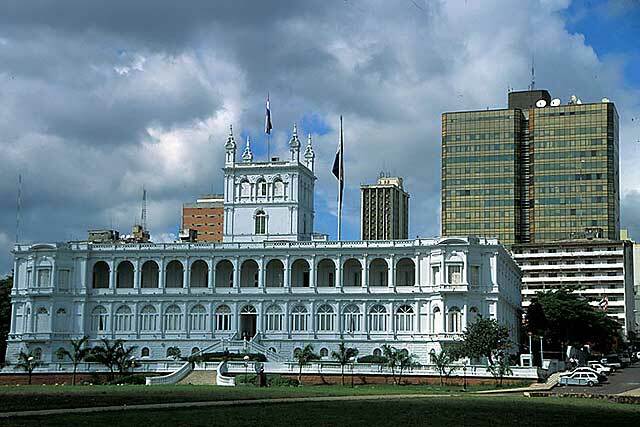 Paraguay declared independence from Spain in 1811. Paraguay had a very unstable past with constant strife with its neighbors. It fought a long war against Brazil, Argentina, and Uruguay leading to its defeat after five years in 1870. This almost decimated the male population and Paraguay was forced to make many territorial concessions. Paraguay again fought with Bolivia in 1930, gaining back territory, but they gave up that territory to ensure peace. Paraguay has had 31 presidents in the 50 years after 1904. Fernanado Lugo is the president of the country at present, winning in 2008 to end the rule of the conservatives after more than 60 years in power. Paraguay is a dream destination for tourists with several natural wonders that have kept it on the top of the list for a many tourists. 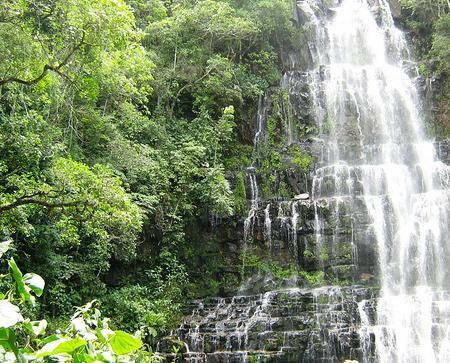 The Igassu falls is a World Heritage site with falls that stretch over 3 km. There are over 250 cascades and in excess of 52,500 cubic feet of water flowing over them every second. The noise is deafening and the green forests in the background make the site a photographer's delight. The Casa de la Independencia is another tourist attraction. Built in 1774, the house captures the history of the independence movement in Paraguay, and the building is an architectural wonder. The hydroelectric plant at Itaipu on the river Paraguay is one of the Seven Wonders of the modern world with a spillway that can discharge two million cubic feet of water every second. It produces 95% of the electricity required by the country. 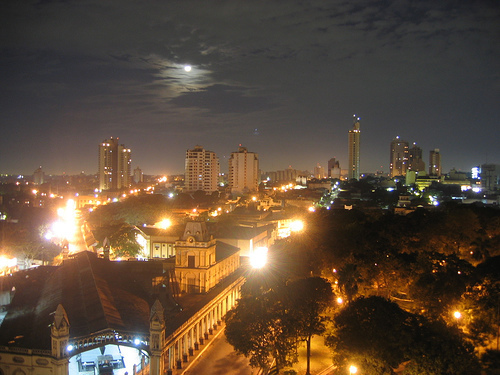 Asuncion, the capital, has several bars, casinos, and discos to entertain the most demanding tourist. The open-air restaurants, called parilladas, are the most favored and have an invigorating atmosphere. Traditional music in Paraguay is the polcas and guaranias, generally slow music with romantic overtones, mostly used as serenades. You can enjoy this music in most nightspots and restaurants. Folk dance performances are offered at the Arts Center in Asuncion, but these are very popular shows that you will need to book in advance. Tourists often head to Brasillia Street in Asuncion for their evening entertainment. The different cultures that came to form Paraguay include the Spanish and local traditional Guarani culture, leading to a diverse mix today. Spanish and Guarani are the two official languages of Paraguay. Guarani literature started with oral renditions of folk tales, and there was no script. These poems and myths have been handed down from generation to generation until they were finally documented during the latter part of the 20th century. The people of the region are predominantly Catholic, but have absorbed into their faith a lot of the religion of the local Guarani customs, and even the names of the gods were adopted from the ancient ones. The early Catholic missionaries felt a lot of connection between the two faiths. The two main staples in the Paraguayan diet are the cassava tuber and corn, and both are included in almost all local dishes. The processing of cassava into different types of flour gives the Paraguayan cuisine a distinct flavor. Chipa, traditional bread made from cassava starch, milk cheese and eggs, is a focal point of many festivities. Paraguayan soup is the worlds only known solid soup, similar to corn bread and made from corn flour. A variation, bori-bori, is a thick broth with balls of corn and cheese. Yams, beans, coconuts and peanuts are all vital ingredients in a Paraguayan kitchen. Beef is the most favored of meats, but fowl and wild game are also eaten. Mbeyu is an omelet made with cassava starch and cheese, and a traditional soup called puchero has its origins in Spain. Bife koygua is a beef dish made with onions and fried eggs.